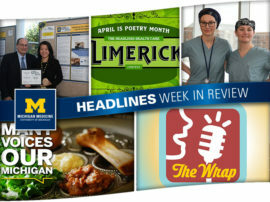 Survey says … it was a great week at Headlines! 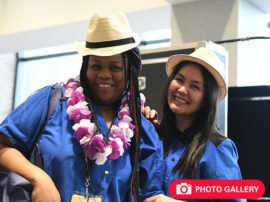 The week kicked off with the opening of the 2018 Employee Engagement Survey and culminated with the organization’s leadership team thanking employees for their dedication and commitment to begin National Recognition Month. 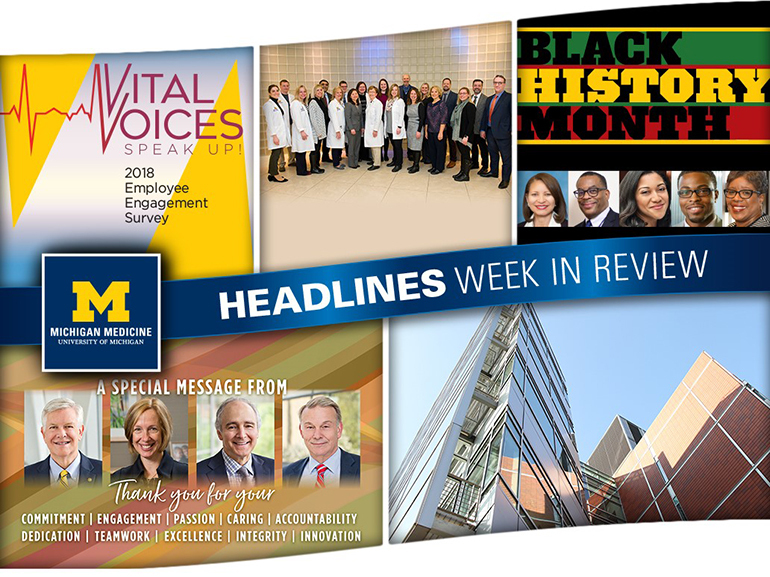 In between, faculty and staff learned the history of the groundbreaking TAVR procedure at Michigan Medicine and colleagues celebrated Black History Month by discussing the importance of diversity in medicine. 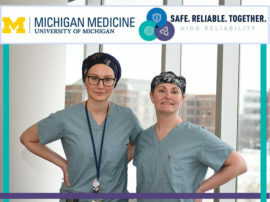 Michigan Medicine faculty and staff have until March 9 to participate in the Employee Engagement Survey and inform how we can enhance the organization’s culture. Click here to learn how you can take the 2018 Employee Engagement Survey and share your unique thoughts and experiences. 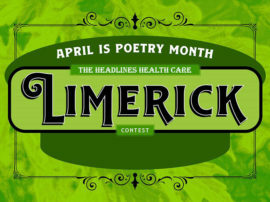 On Thursday, the calendar flipped to March, marking the beginning of National Recognition Month. 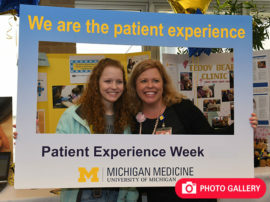 That provided a perfect opportunity for the Michigan Medicine leadership team to thank the organization’s outstanding faculty and staff for the dedication and commitment they show every day. Click through to see their special message. Since its debut in 2011, transcatheter aortic valve replacement (TAVR) has played a vital role in helping heart patients at the Frankel Cardiovascular Center. Headlines recently provided readers with a closer look at the evolution of TAVR and the multidisciplinary team behind it at Michigan Medicine. Click for details! 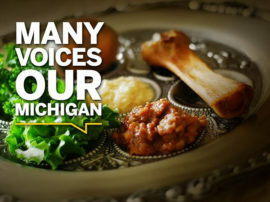 February was Black History Month, and some African American faculty, staff and students celebrated by sharing their thoughts on why diversity is so important at Michigan Medicine. The group also reflected upon the role models in their careers and what advice they would give to the future generation of minority leaders. Check out what they had to say!